Its Anners is different. 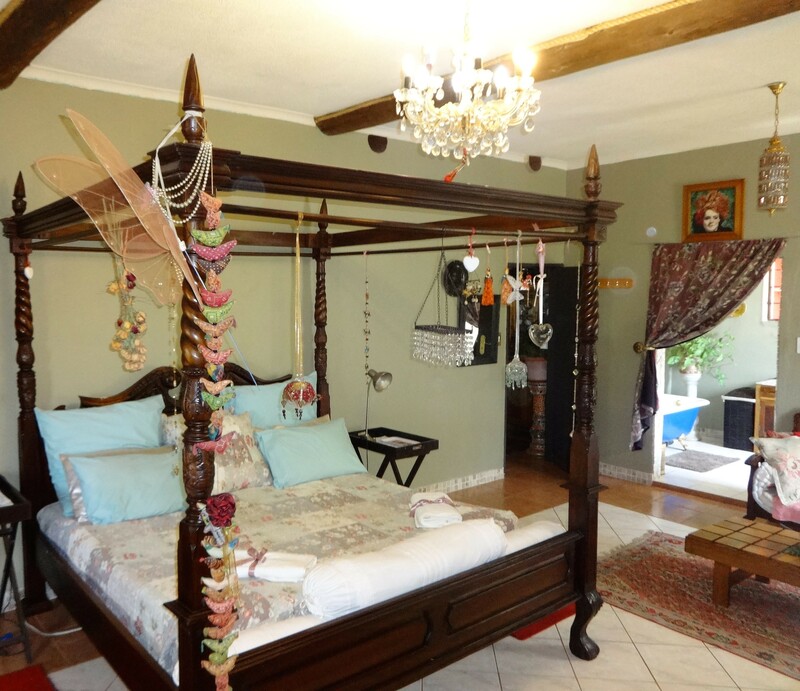 It's a Guesthouse and Backpackers Lodge situated 35 km northeast of Pretoria on the KwaMhlanga/Moloto road. 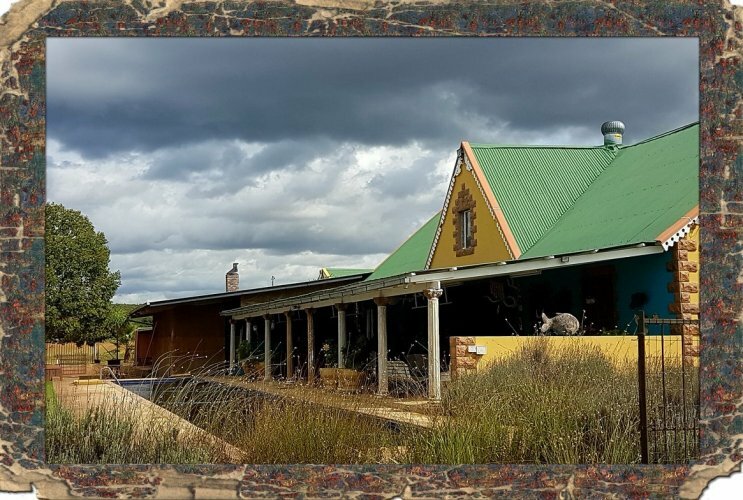 Its Anners forms part of the Leewgedacht Conservancy that borders Welgedacht Private Game Farm (Dinokeng), where the lions of Kevin Richardson (the "lion whisperer") are sheltered. Big and small game graze freely and can be viewed from the veranda. From the exterior to the interior Its Anners is different. It's an art paradise. 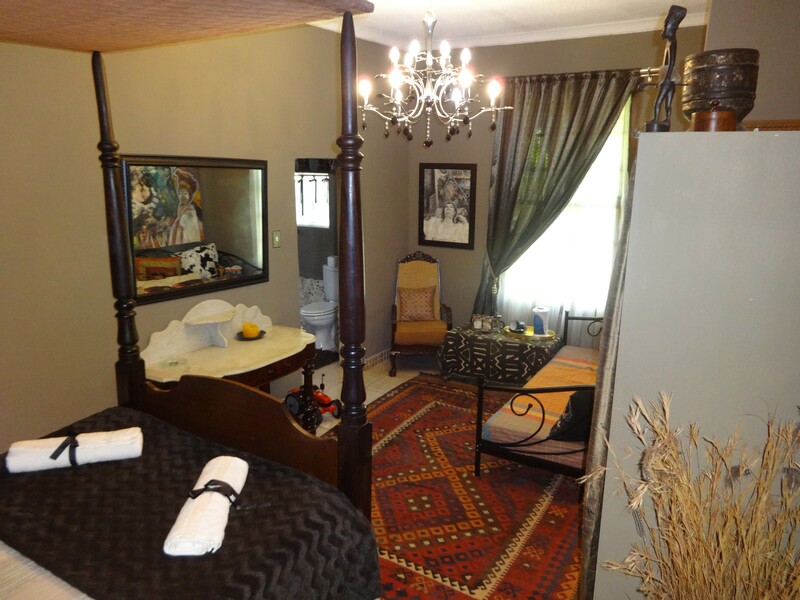 The 5 luxury double rooms are based on the five elements and all have coffee making facilities and rusks. The rooms are TV free with DSTV in the lounge area. The dormitory consist of a private room with a double bed and 6 bunk beds in the open plan sleeping area. 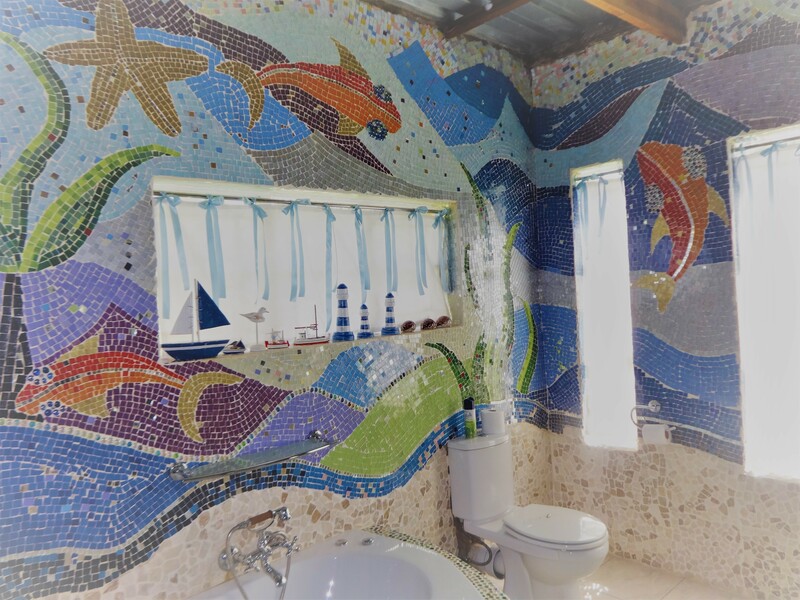 There is a communal bathroom with a shower and toilet. There is also an additional bathroom 10 m from the dormitory. For the guesthouse breakfast is included. Lunch and dinner must be booked. A 25m lap pool borders on the 22 m veranda from where game viewing can take place. 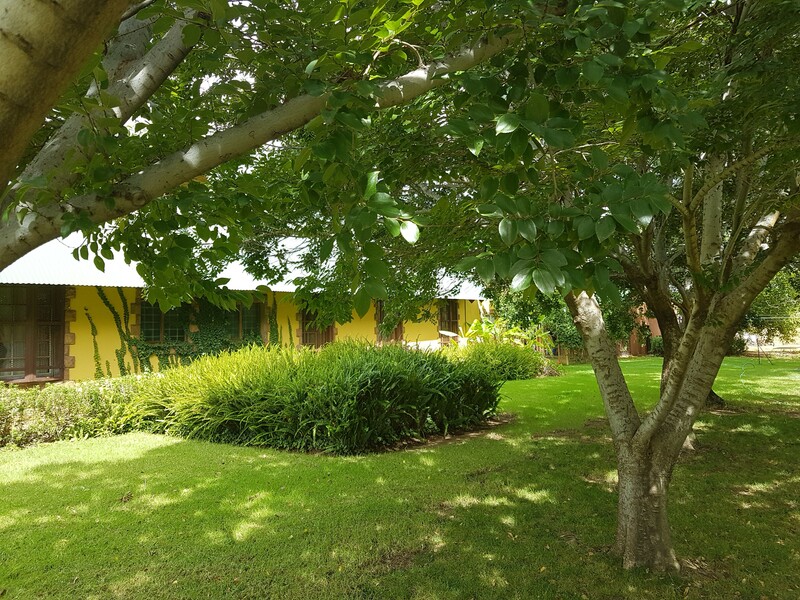 The house is situated in a 1,5 Ha enclosure with trees, lawns and flower beds. There are open and enclosed braai (BBQ) areas on the premises. The enclosed braai (BBQ) area can seat 60 persons. The location in nature provide the ideal breakaway from the hassle and bustle of city life. It also offers you the opportunity to celebrate your birthday/anniversary or have a small wedding with friends and family. 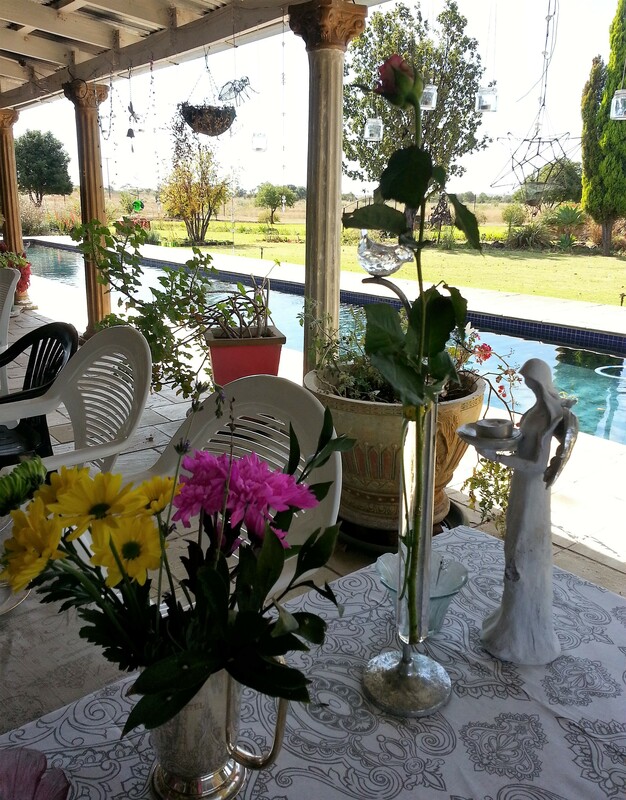 Game viewing of the big 5 in Dinokeng can be arranged, including a visit to the lions and hyenas of Kevin. In the Conservancy you can experience the fauna and flora on foot or bicycle. At Its Anners we present various types of art workshops from painting to lamp work. If you are looking for something different then its Anners is the answer. A visit to us will inspire you and help to recharge your batteries. The ground was bought by Jakkals Pretorius, your host, in 1985. It was barren but for two lonely trees. It took a year to build the first structure, with no running water or electricity the going was tough. With Jakkals still employed full time, and home very seldom slowly the store took shape. The first priority was to build the bathroom, as a tree for a latrine, is not to everyone’s taste, especially when the toilet paper was forgotten in town. So with the help of some friends one Saturday morning, the bathroom was put together, celebrated there after with the South African tradition, the Braai. Jakkals, being a bachelor then decided, it is time to pick a queen for his castle. He could provide for her a dwelling, bringing new meaning to the word rustic. He obviously sorely needed a woman’s motivation in order to get the ball rolling. Seven long years later, Jakkals and Maxi were wed. Their wedding night, was spent outside their new home, amongst the chickens in an empty pen, as the in-laws had the inside of the home. By this time, the castle foundations were already ground height, with the floor waiting for the walls to be built. That said, the dwelling had by this time been renovated. It now had a kitchen, a separate bedroom with a lounge. Life was indeed becoming a pleasure! As the years continued, the castle grew walls, and eventually a roof was attached. Then, with a bang, the couple were blessed with a son. This event, brought about an urgency in upgrading their living circumstances quite drastically. As such they came up with a temporary solution. The kitchen, laundry, pantry and breakfast nook of the planned main house were to be completed with utmost haste in order to move into this portion of the house. The pantry, was to be the main bedroom, the laundry, would be Baby’s room. The breakfast nook was their lounge and cooking was still done under the old roof, while the equipment was installed in the new kitchen. 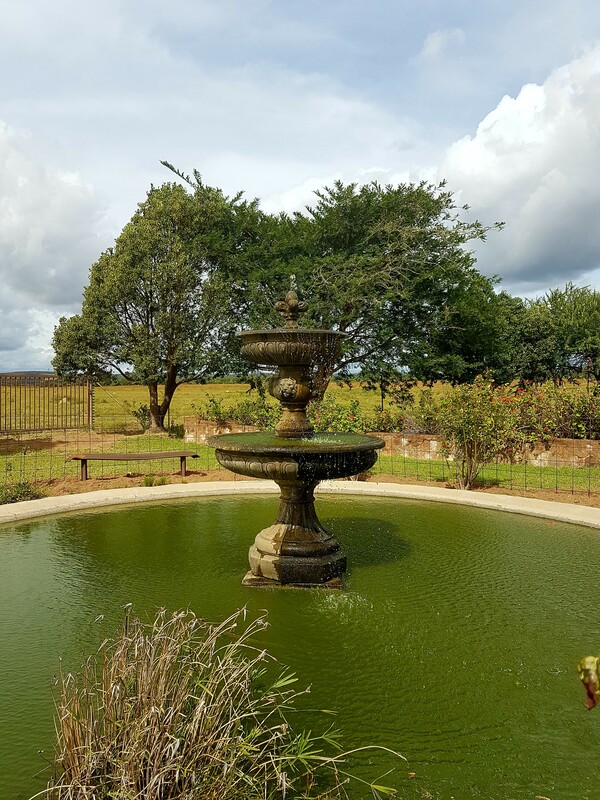 Eventually, they were successfully farming with prickly pear, they had a beautiful garden, running water and electricity was fully installed. The queen of her castle, was a master glass blower, with her own studio offering weekend courses to the arty crowd. 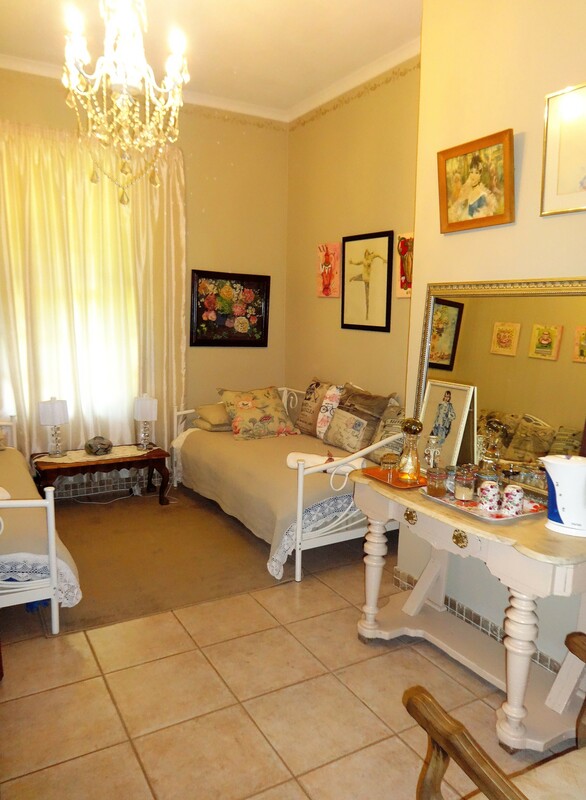 The main house was tiled, the main bedroom now was occupied and the store was rented out as accommodation. 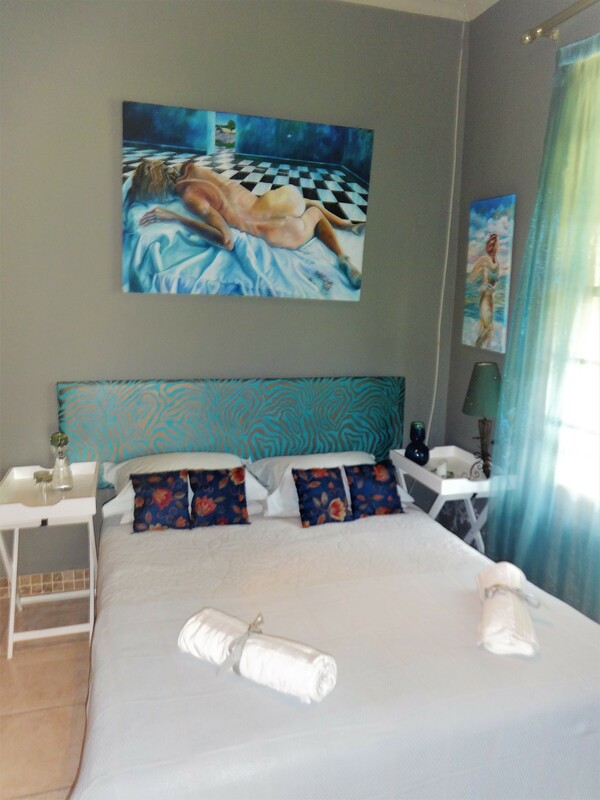 All 5 guest rooms were completed with 2 completed en-suites. At this stage it was decided by the neighbouring farmers to drop their fences in order to have a consolidated game farm. With this the guest house was born. Every year the house changed, new designs were brought in, the pool was dug and eventually completed. The upstairs floor was installed. All the while many more trees were planted and now stand tall and proud offering a tranquil retreat in the shade for dogs, cats and travelers alike. We now welcome you to come enjoy our haven where one can still witness a starry night, in a magical castle with tales of old. The "Fire" room has an African feel to it. The artwork convey the message. The decor and colour scheme convey the feeling of warmth. 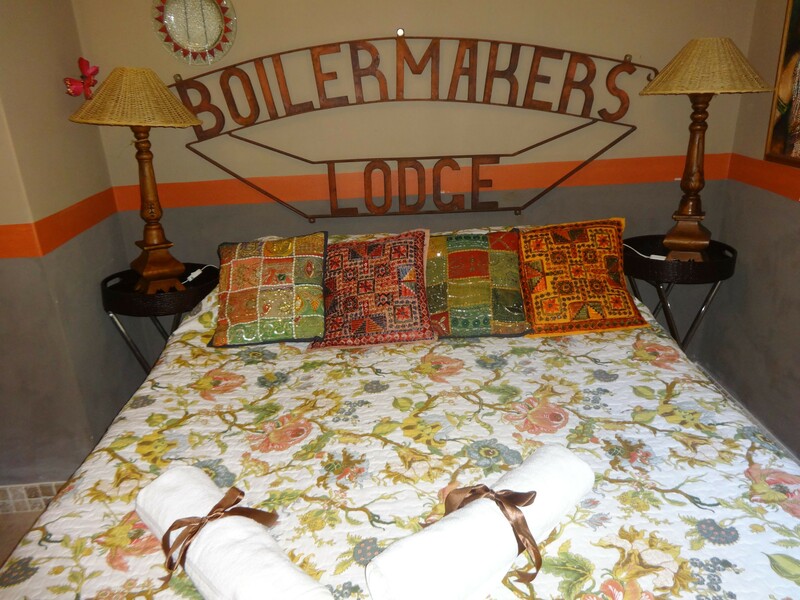 The Boilermakers Lodge head piece is from the Rand Mine in Johannesburg and fits perfectly with the theme "fire". The en-suite bathroom has a bath, shower and toilet. The Air Room has a French feel to it. It is romantic and light. 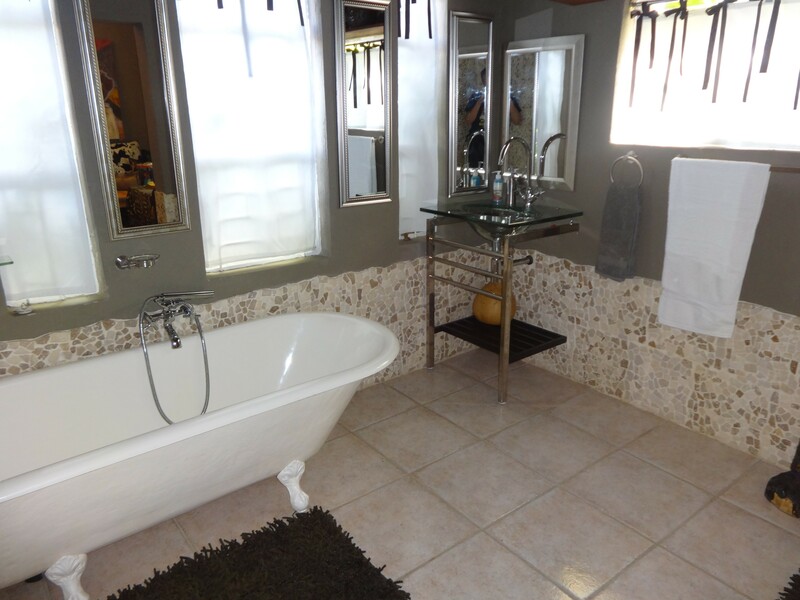 It also has an undertone of Africa, especially the designs in the bathroom. The en-suite bath room has a bath, shower and toilet. The room has no TV as Its Anners wants you to relax and forget the hassle and bustle of daily life. 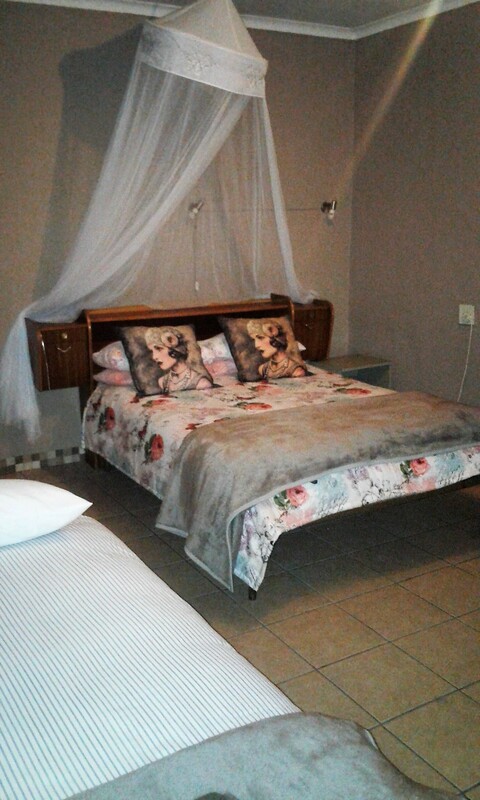 This is a room in the dormitory with a double bed and all the privacy you want at a discount price. The rom share the dormitory bathroom. Here we can sleep up to 12 backpackers in bunk and single beds.